Pretty exciting news. 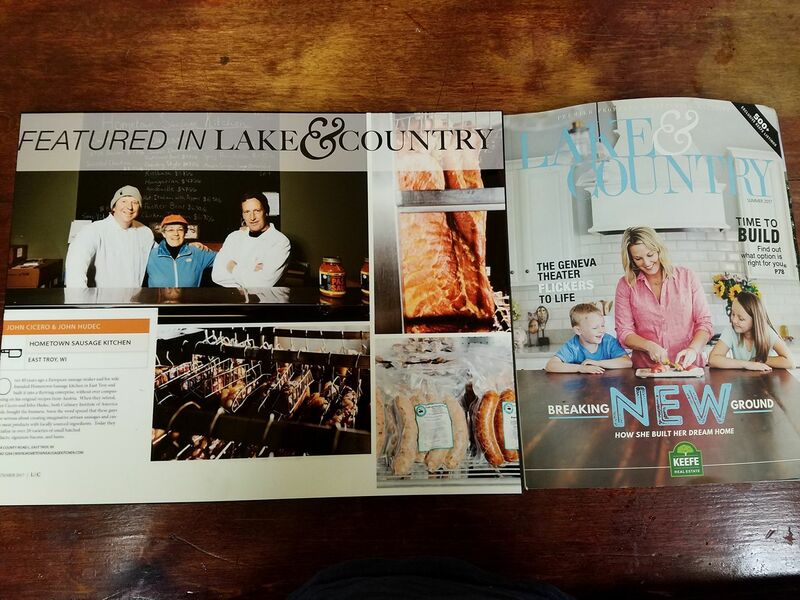 We are featured in the Summer 2017 edition of the Lake and Country Magazine published for Southeastern Wisconsin by Keefe Estate! That’s kinda cool! Sign up for special offers, product discounts, event information, and recipe ideas. Hometown Sausage Kitchen is a USDA certified meat and poultry processing facility. Licenses #M18370 and #P18370. HSK is also NFS certified and a proud member of Wisconsin Association of Meat Processors.